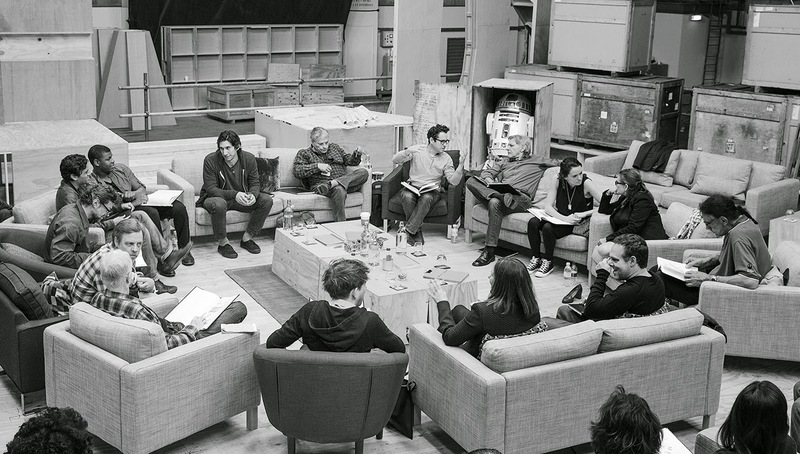 There was only one, single important item in the news today- the cast of the new Star Wars movie was announced! I've posted about Star Wars plenty of times in this blog- it is one of the works of pop culture that I truly geek out about. Episode IV: A New Hope came out right around the time I was born, and the Star Wars movies have entertained, informed, and inspired me throughout my life. Although I had plenty of problems with the prequel trilogy, & some of George Lucas's editorial decisions, the Star Wars saga remains a modern-day epic masterpiece. The movies and the fictional universe that go along with them are undeniable classics, combining the best elements of mythology and visionary sci-fi. Now, I'm seeing children in this new generation, like my nephews, still enthralled by the fictional world Star Wars creates. I have to admit, my inner child is very excited at the prospect of the new movies, continuing the story from Episode VI: Return of the Jedi. Thankfully, they have taken an excellent first step & included the cast of main characters from the original trilogy: Mark Hamill as Luke Skywalker, Carrie Fischer as Leah Organa, and Harrison Ford as Han Solo. It will be interesting to see how these older characters have evolved in the new stories. Of course, there will also be the droids, R2-D2 & C-3PO. Lucas has always said these robots will be the only characters to be present in all the movies. Star Wars is a human drama, seen from the perspective of these droids who can outlive multiple human generations. I will definitely be posting more about the new movies as time goes by, but this is an awesome way to start it all off. It's going to be an exciting couple years waiting for Episode VII to come out & probably shatter box office records. 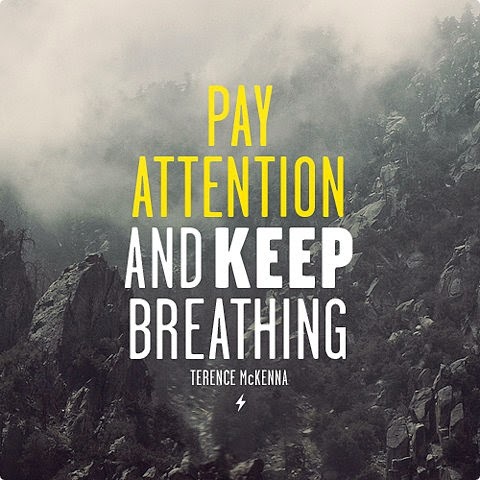 This is a great, simple quote by the normally loquacious Terence McKenna, that I try to live by constantly. The gameplay is simply shuffling & adding numbers, but it's pretty addictive. The only strategy I used was to go only down or to the sides, never move up! 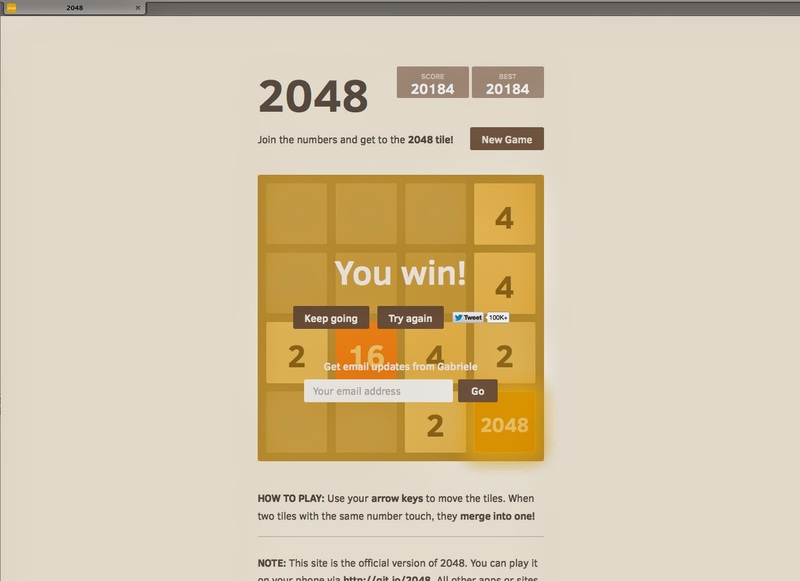 I finally beat it by getting a block with the score of 2048. I actually kept going & got a score of 27,000. I guess that's pretty good. Now I can forget about it. As one commenter said: "I didn't know Satan made video games." 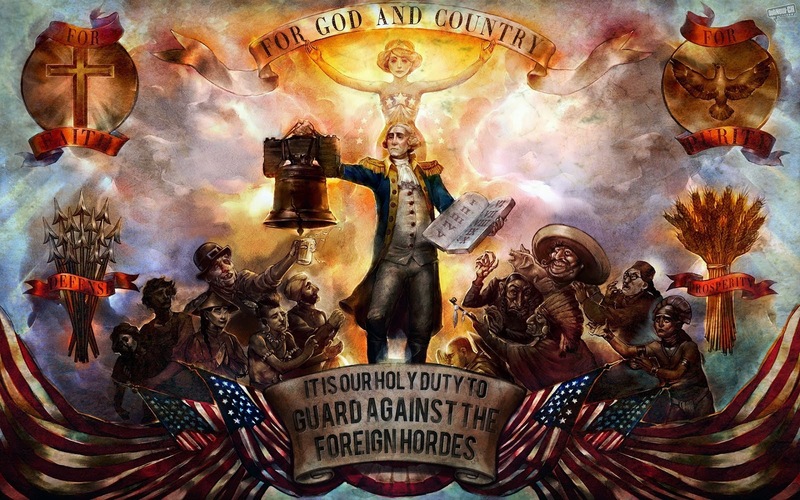 I finally got around to playing through Bioshock Infinite, and it was a solid addition to the iconic series. Previously, I reviewed the first Bioshock, & I've also played the sequel. This was a similarly memorable game, that took the theme in a new direction, but was still consistent with the previous titles. The Bioshock games are first-person shooters, but they have deep, immersive storylines that lead the player to question his own perspective and moral judgments. What I especially like about this series is its look at the shortcomings of different political ideologies, when they are actually applied to society. In the first two Bioshock games, the setting was an underwater city called "Rapture". This was supposed to be an art deco-style Libertarian utopia, founded by business magnate Andrew Ryan in the 1940's. He & the city's other founders were Objectivists who wanted to escape government control, so the "Free Market" could reign supreme. As anyone with a rudimentary understanding of the real world could predict, a Libertarian 'paradise' will quickly devolve into a hellhole, as the power of selfishness and greed are allowed to run rampant. The city of Rapture falls apart, due to the scientific discovery of "plasmids" that grant their users superhuman powers. These powers led to class warfare among the inhabitants of Rapture, and a fatal rivalry between Andrew Ryan and Frank Fontaine, another unscrupulous businessman. In Bioshock: Infinite, the setting is Columbia in the year 1912. This is a city that is literally floating in the sky, due to a powerful anti-gravity technology. Columbia was founded by Zachary Comstock, who wanted to break away from the United States, while retaining an ultra-conservative vision of America. The complete merging of religion and nationalism create a right-wing dream world, where today's Tea Party patriots would feel right at home. In Columbia, "Father" Comstock styles himself as a political leader & religious prophet, the U.S.'s Founding Fathers are revered as demi-gods, patriotic propaganda is everywhere, & the city has a traditional feeling that gives the overall impression of "the good ol' days". Not far into the game, however, you begin to see through the facade of the image of Columbia that Comstock has built up. It is actually a place of elitism & racial segregation, in which all non-whites are officially recognized as second class citizens, or worse. The resulting social tensions have manifested themselves in the form of the revolutionary group "Vox Populi" fighting to bring equality to Columbia. At first, it's easy to sympathize with the Vox, in contrast to Comstock's dystopia. However, it later becomes clear that having the Vox Populi take control would also lead to its own disastrous consequences. The ultimate message here is one that I try to emphasize all the time, when talking about politics & government: No matter who's running things, human society is always going to be f*d up. You play the game as Booker DeWitt, a detective who has incurred a large debt. To pay this debt, he is recruited to go to Columbia and rescue a girl named Elizabeth. She is apparently Comstock's daughter & heir, and she has the ability to open "tears" in the fabric of space-time. These tears allow observation & interaction with alternate universes. as Elizabeth opens a space-time tear into her dream destination, Paris. This scientific aspect of the game, which deals with multiverse cosomologies, quantum physics, and relativistic concepts, was unexpected and the most interesting for me. As the game progresses (especially at the end) the idea of infinite parallel universes, with countless versions of oneself, comes to the forefront. It leads to mind-bending plot twists and plenty of points to ponder long after the game is over. The theoretical physics in the plot also answered a question that bothered me before I even started the game: "Why did they call this game 'Infinite'?!?!" 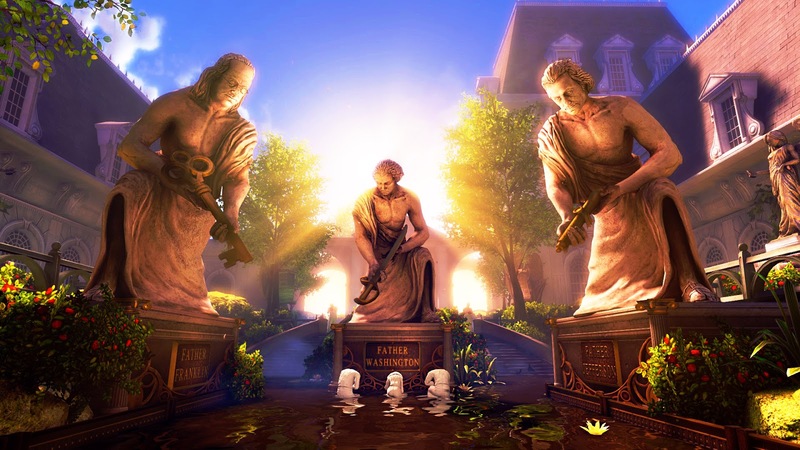 On a functional level, the gameplay mechanics are a continuation of the original Bioshock games. You carry a weapon in one hand & have another hand that can emit various powers you discover as you progress. Unlike the claustrophobic underwater setting of Rapture, Columbia is an open air city with awesome visual presence among the clouds. In this game, you can hook onto sky rails and soar around certain areas. It takes some getting used to, but is a pretty cool feature. Despite the open setting, the game is fairly linear, with a set succession of missions and limited area to travel through for each stage. Although the combat on 'normal' difficulty was sporadic and there were some minor issues I had with the game, overall it was very engaging. As is characteristic of major productions like this, the artistic vision and attention to detail in the game is amazing. What really made the game stand out for me, though, was the thought-provoking story elements, dealing with the unlikely combination of political issues and the theoretical physics. 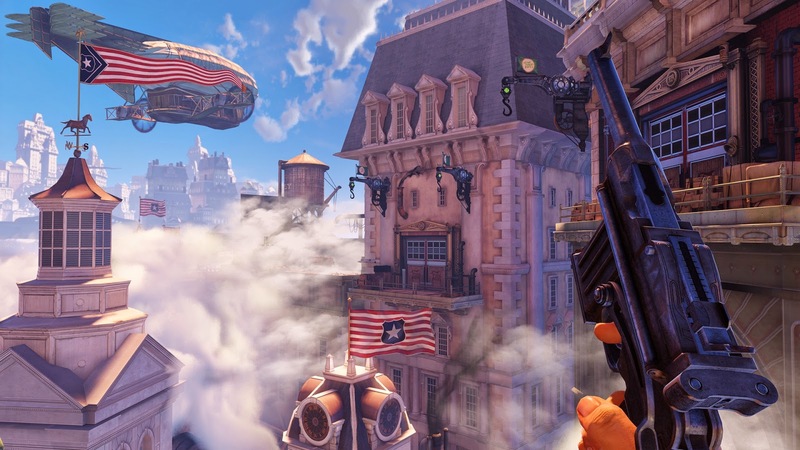 I definitely recommend Bioshock Infinite for a look at the conceptual heights to which a video game can aspire, while maintaining exciting FPS & role-playing elements. Extra, crazy elements are added to kids' coloring book pages- making them much more twisted, but very funny. Although I enjoy being around other people, I am also very comfortable with myself & the quiet stillness of being alone. Even if I am alone, I never get the feeling of being lonely or bored, because I've learned to simply abide in the present moment- no matter what is being experienced. you are in bad company." After posting about Hyperdimensional Cube from One-Way Mirrors, I saw another mind-expanding use of mirrors, to create a visual experience of infinity. On Visual News, I saw these installations called "Infinity Boxes". They were created by artist Matt Elson. They are decorated cabinets, containing mirrors set up to repeatedly reflect the people looking into it, surrounded by reflections of the interior decoration of the box. The effect is a surreal gallery of repeating faces at different angles. I would love to actually look inside one. 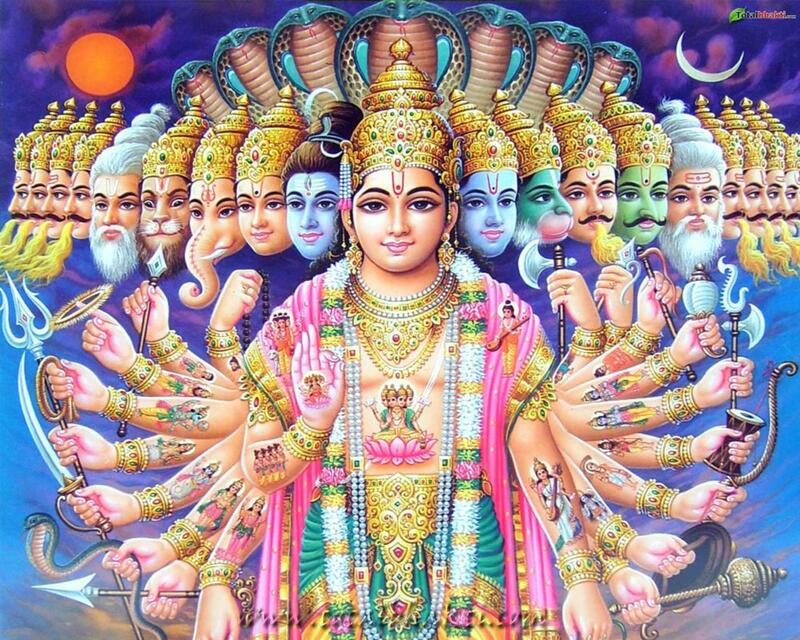 The pictures other people have taken from inside the Infinity Box remind me of the many faces that are used to depict the infinite forms & incarnations of the Hindu god Vishnu. 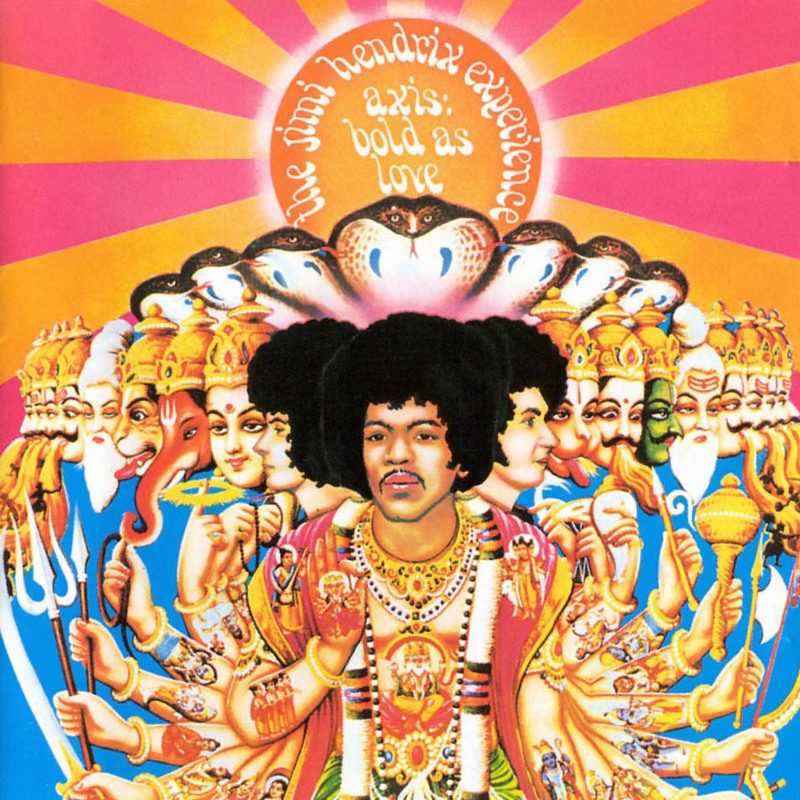 It's also similar to the Jimi Hendrix "Axis: Bold as Love" album art, one of my favorite examples of album cover design. It is a classic piece of psychedelic pop art, derived from the Hindu iconography. As much as I love the convenience & interactivity of digital media, there is also a great quality to having physical books. I'm definitely a bibliophile & enjoy collecting interesting books of all kinds. I usually read non-fiction books, because I prefer information over stories. For the past several months, on my lunch breaks I've been reading through an entire reference book that's full of random knowledge. I got it for $10 at a used book shop. QPB Dictionary of Ideas is exactly what it says- a dictionary full of philosophical concepts, important people in history, and all kinds of information relevant to the thinking man or woman. After posting about the animated 4d hypercube, my good friend Dr. Phil sent me this post about an awesome art installation. 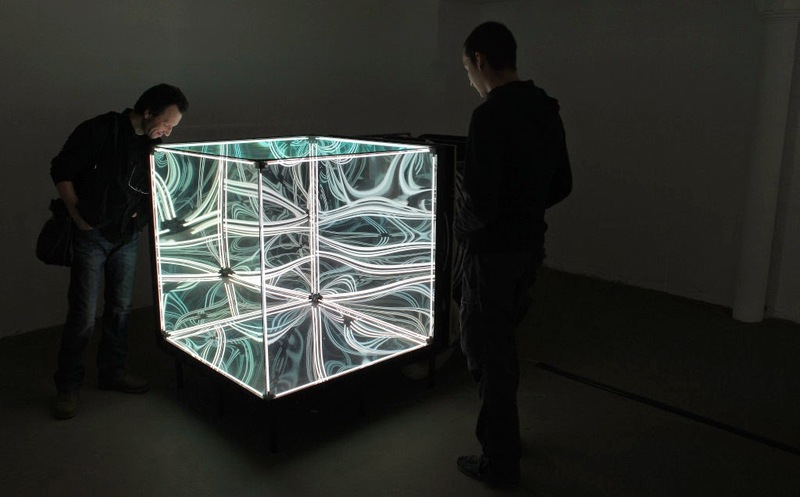 Basically, it consists of a cube made of 1-way mirrors all reflecting each other. There are lights inside to illuminate the reflective surfaces. The cube can be filled with air to distort the surfaces, and therefore the reflections inside. The result is like a mind-bending window into higher dimensions. The resulting patterns forming from the endlessly repeating reflections are fractal in nature, and gives us a glimpse into infinity. Answer: There is no such thing. "Dimensions" are a mental construct. On Cheezburger, of all places, I saw this cool animated visualization of higher dimensionality. 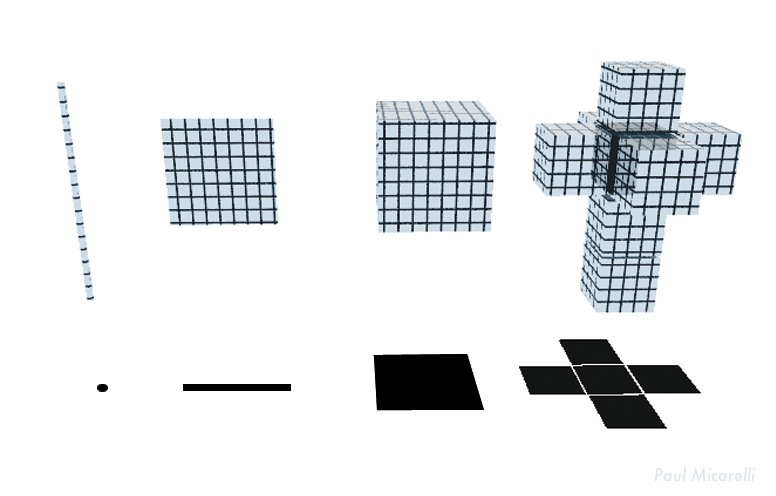 It shows the progression from a 1D line> to a 2D square> to a 3D cube> to a 4D hypercube. Of course, since we cannot directly experience a 4-dimensional object, we are only seeing a 3D "shadow" of the theoretical form. This same time last year, I posted about a 3D rendering I had made of Salvador Dali's "Crucifixion (Corpus Hypercubus)". I had also posted a rendering I created, of a similar progression of dimensional forms- to show how each dimension that we perceive is a "shadow" of a higher one.